Before starting your daily practise routine, you should do a series of stretches just to lengthen your muscles and keep them flexible so as to prevent any unwanted injury. The stretching routine should consist of deep stretches not only for the fingers and arms which are directly involved, but also for your core and leg muscles because every part of your body is very much engaged in playing the violin. I would advocate practising Yoga or Pilates a few times a week as these are good exercises to stretch the entire body and to keep your mind calm which is an excellent condition to be in when called to do a performance. Practise Basic Technical Exercises, Scales and Etudes at every practice session. Over the years of teaching, I have noticed that not every teacher would include basic right and left hand exercises or even Etudes to practise in the student’s repertoire. Focusing just on pieces would impede the student’s growth. 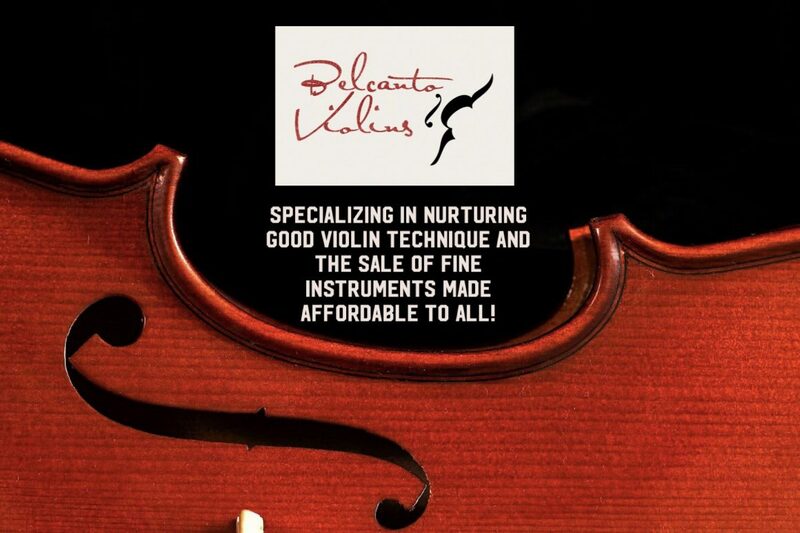 Basic Technical Exercises, Scales and Etudes enable a Building Time for the students to develop their technical ability on the violin necessary for the skill later used in performance pieces. Having a good Right Hand and Left Hand exercise routine will help to focus on overall posture, tone production and intonation. Even the best of violinists would tell you the importance of practising Scales daily. If Building Time with the Basic Technical Exercises, Scales and Etudes are part of the practice routine, you would realize that that when called to learn a new piece, you would be able to grasp it quicker and there will be more time to be left to explore a Musical Interpretation of the piece which would be just as important as focusing on overall posture, tone production and intonation. Classroom time efficiency with the teacher would also be better as the daily practices on these would a establish a higher chance of being able to teach the student on every aspect of playing the violin and not just focusing on either technique or musical interpretation. If a piece is already in a slow tempo, it would still be necessary to practice in an even slower tempo so that every expression can be even more thorough and thought out. So that when playing at the normal tempo as indicated a deeper depth of expression can be communicated to the audience. Apart from some exceptions, for example the Bach Partitas and Sonatas where some of the movements need to be purposefully played in entirety in forte in order to get the right tone production before taking into account the other ranges of dynamics, performance directions should be followed carefully. In fact, certain directions should also be played purposefully and intentionally during practise as a lot of dynamics and expressions are lost during the performance due to nerves or just the acoustics of the concert hall. Not only does volume or articulations have to be in utmost clarity, but also the physical expression (body movement) of playing the markings on the score can be acted out to match the markings intended in performance. Only following markings written down after getting the notes right may result to developing your own expression which is not intended by the composer in the original score. Then taking into consideration the markings as a second thought, might tantamount to bad habits that need to be broken which may be less efficient than to apply the original markings written down from the start. As a Musician, there should be integrity in performing the piece as the composer intends it to be. – There are a lot of parts of the piece that have easy playability and need little to no practise but there are just some parts that need a lot of work and special attention. As I conquer these parts bit by bit, I erase the circles so that the score again looks tidy. This will minimize mess on the page if referring during a performance it will be neat and tidy to use or if you had to memorize the piece, the score is clearer to you in your mind than a very untidy score. This can be likened to keeping your home neat and tidy where things would be more organized and will more likely to be able to recall where you have kept something quickly. Another occasion which I would use the pencil would be to circle out parts that I keep making mistakes at. Try not to listen to recordings of pieces before you have mastered a piece of music. It is important to listen to recordings and classical music generally, especially to recordings of violin repertoire. Being a violinist means that you should also be able to appreciate different interpretations and adapt them to your own style of performance. This heading may come as surprise to many that listening to a piece before learning it may not necessary be the best way to learn a piece. It is best to first try to learn the piece according to your own personal interpretation as at the end of the day you are an artiste trying to create something unique and not replicating anyone’s performance. There is a greater importance these days to be able to learn a piece without listening to a prior recording due to new composers and commissioned violin concertos and pieces where there may be a limited number of performances and recordings done; or you may find that there have been no recordings that have been made at all because you are the first person to be performing the work for the first time. This method of learning from scratch would expand your ability to sight read music to develop all your senses needing to make the music. And from there, to explore a piece on your own which will carry far more depth instead of total reliance of learning a piece aurally and depending on that aural sense to replicate the same tune. Always break up the piece into smaller section and single out frequent errors to practise these separately. When embarking on a new piece, always look at the structure and form of the piece. Some pieces may be in a ternary form (2 sections, A-B Parts) some in binary (3 Sections with repetition of one of the section A-B-A parts); or in Sonatas at the recapitulation section. Hence, always analyse the piece to check with sections repeat. You should ideally give the same weightage of practise to every section. If a section is repeated many times, if you follow the order of the score to practise, you would be practising one section more than other sections. So the other sections may feel less practised at the end of the week. By analysing the score and breaking up the piece into smaller sections, you would also be able to understand the structure of the piece better and sight reading this way can be improved as you are essentially learning musical patterns and not just going about the piece at random as it comes. I like to use different colours to highlight the different sections to the younger students, so that the whole piece appears colourful and they are able to break up their practise according to the colours and sections to practise and learn each day or week. Lastly as mentioned in Number 5 “Always have a Pencil Ready”, you would find playing some parts of the piece with more difficulty than others which would require more practice and attention, do circle out these parts with the pencil and pay special attention on ways to practice them. While practising, be conscious of your playing posture at all times. You should ideally feel like a tree, deeply rooted and planted down so that when playing exciting parts of the piece you do not appear wobbly but confident. The instrument should emanate from your soul which means physically, you should appear that the violin is not a separate instrument apparatus but part of your physique, like just an extension of you. On closer scrutiny to impediments or difficulty while playing some pieces, you may find the root cause to be poor posture whether it is with your fingers or your standing posture itself. At all times you should feel relaxed when playing the violin, the music should seamlessly flow from the violin. If you feel tense in any area while playing, you should check your posture as that should not be the case. Even at difficult sections of the piece instead of feeling a sense of tightness, you should feel relaxed even if your mind is working overtime. Being relaxed would heighten the probability of the notes coming out as practised and anticipated; the effect would look like effortless playing even at the most technically challenging of parts. Making music really does require one to be relaxed for all emotions and mental faculties to be at their best levels for a good performance. I do not discredit the importance of having a thirst and hunger for improvement. As this motivation is the drive to aim for a higher standard of playing. But the repertoire chosen for the student or for yourself has to be digestible and appropriate for the level you are at. Making a student constantly play pieces that require several position changes when they have barely understood or grasped playing in the first position for example; may be damaging instead of helpful in due course. It may corrode their confidence with the instrument. This hurried teaching style may result to mental connections to be missed on basic foundations of posture, note reading and other violin technique like shifting, playing different positions, bowings etc. When learning the violin in a haphazard manner and not establishing fundamental violin technique is likened to not laying a proper foundation for a 100-storey skyscraper. This often shows up at more advanced levels, the student may feel frustrated or stuck due to the lack of skill to advance. It would be definitely better and more efficient to follow a moderate climb, one that is at a suitable level of challenge, this challenge level will need to be constantly tested and gauged as it is unique for everyone. I have some students who are like sponges who can grasp concepts very quickly but there are also others who need more time to absorb new concepts of learning technique. The foundations of good technique should never be belittled. The teacher should make sure that the student learns and practices good technique making use of the repertoire. Finding repertoire to achieve proper Violin Technique should take priority over selecting a piece at your whim and fancy and then working in Technique Building through these pieces. Learning Violin Technique should not be left at random. That is not to say that you should be selecting repertoire that is dry and unpopular, it just means that you have to be wiser at choosing. Be aware on what you can actually play: if it feels too easy, then find something more challenging; if it is too insurmountable, most likely the piece is too difficult and should be shelved for another later time. This will enable a more visible and structured improvement rather than a random one which may leave out certain important points about playing the violin at the more formative stage. Knowing how Brain Memory works in the earlier section on devising a Practice Schedule Plan, will aid in understanding how to memorize a piece of music well. I personally find too that it is more effective and efficient to practice a piece trying to memorize the piece rather than to be practicing the piece reading off the music score always. This way, the non-reliance of the score makes me more sensitive to all aspects of the piece. The mind should constantly be seeking out ways of improving and not be on an auto pilot mode while practicing. Time at hand during practice is not just a figure, especially for young children it may seem that time is an infinite concept, but the older you grow you realize the limited nature of time. Therefore, at any age or stage you are at do make a goal for learning every day. You can also make a goal based on the lesson that you have just had for the following lesson; these small objectives met will be one step closer to a larger improvement, thereby achieving a more efficient practice every day. Over a week and months of practice, these improvements will be both audible and visible. You should always aim for excellence and put your best foot forward. It will pay off to have this tenacious spirit toward practise. Simply achieving goals set by your teacher is good but setting your own goals which exceed expectations would be better. The world is constantly looking for outstanding people and it is good to apply this to everything you do not just for the violin. Rest should also not be underestimated, a well-rounded person will not be absolutely efficient without adequate rest that the body needs. The mind and the body need rest and adequate sleep to function at its best. It is tempting to speed up at exciting parts of the piece. Or sometimes, with a series of confusing note values to attempt to aurally discern the time values and play by what you think is right. Because the violin is usually played as an accompanied instrument whether it is in a chamber group setting or with a piano or an orchestra, being able to be accurate in rhythm and timing is essential and should be developed during practise. Being as accurate as playing in a professional band may not be necessary but it is certainly necessary to follow the note values and develop a sense of rhythm for collaborating with other professionals or instruments. This area of development is just as important as having good intonation, being able to play in tune is just as important as having a good sense of rhythm. Even where you are the only solo instrument, practising repertoire like Bach’s (Sonatas and Partitas) unaccompanied pieces for the Solo Violin are good opportunities of developing on your rhythms in perpetual motion or the slow movements where the rhythm values are very obscure, achieving accuracy, discerning their note values would definitely sharpen your skill on rhythm and timing. For passages with runs where the notes are in a perpetual motion (of equal note value), to achieve a consistent rhythm, it would be essential to practise with the metronome from a slow tempo and using increments of two values for example, starting at 80, increase it to 82 then 84 and so on. At the next practise start off at the second fastest value you were at and then start the pattern again. If you would like to play a passage of runs quickly, it would be best to practise it on an even higher value than prescribed or perform. So that when you switch back to correct (slower) tempo, you would find playing the passage with ease. It takes so many hours to get a piece of music polished and perfected to a performance standard. Often so much hard work is put into perfecting a piece, therefore before the memory of the piece diminishes completely, you should pick up the piece and play it once more. Each time playing the piece would rekindle the memory of it. Pieces from the past that have been mastered must be included in the Practise Schedule plan. It is worth mentioning not to over stretch or over work the fourth finger (pinky) on the left hand. The fourth finger is a delicate finger and often the gap to stretch is too far for some hands. Take care especially when playing double-stops in tenths. It is a generally good practise to get the note right and just move on without dwelling too much on it which will cause a strain injury. There are some practises that are better with using your ears to figure out the intonation instead of over practising or over straining. Always remember it is the quality of the practise that counts and not the quantity of hours put in. Be Careful with your hands! If you are playing the violin or learning the violin, it would be just be sensible to protect your fingers by not exposing them to activities which may injure your fingers such as ball games and some sports which may endanger your fingers into getting them hurt. The body does heal itself but often times, the rehabilitation is a painful process and a sprained or broken finger or arm might not heal back to the original angle it was in. Prevention is always better than cure for sure.